Even though many of us use online-based mail services (like Gmail or Hotmail), there are still millions of people who value desktop-based mail applications, like The Bat!, Mozilla Thunderbird, Outlook Express, Microsoft Outlook, and others. When it comes to conversion of emails saved in these and other programs into XHTML format, users often find themselves at a loss. 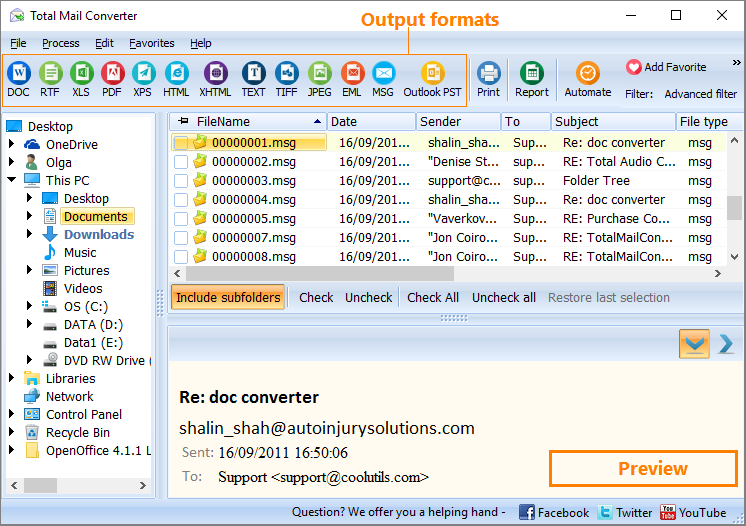 CoolUtils is always there to help with its ultimate Total Mail Converter. A specialised MSG XHTML converter, Total Mail Converter can also be used to process EML files into TXT, PDF, HTML, RTF, DOC, TIFF formats. 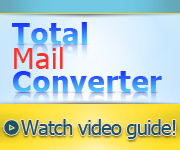 Total Mail Converter is a batch MSG converter, and so you can use it to convert hundreds of e-mail messages at a time instead of processing them one by one. It also can be used to save attached files in the same folder as the converted XHTML document. Download the program for free and use it for 30 days at no charge! Install the program as usual, following the instructions of the setup wizard. 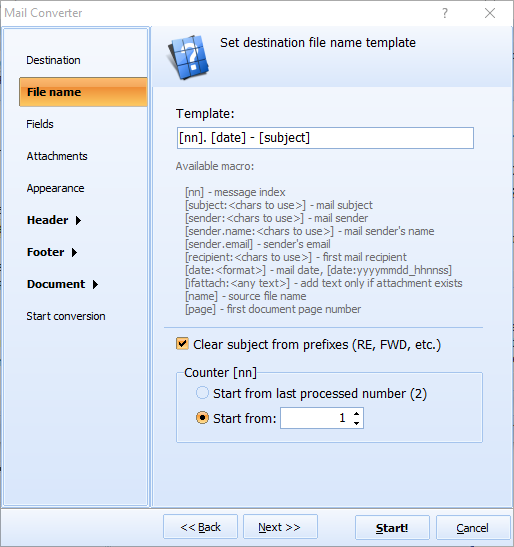 Open Total Mail Converter via GUI or command line (GUI is recommended for beginning users, while command line guarantees quick access to the converter from within other applications for advanced users). Select the MSG messages you want to convert. The converter automatically integrates with your e-mail client, so there's no need to upload messages or get busy with the settings. Set XHTML as the target format and begin automatic conversion by clicking the 'Start!' button. 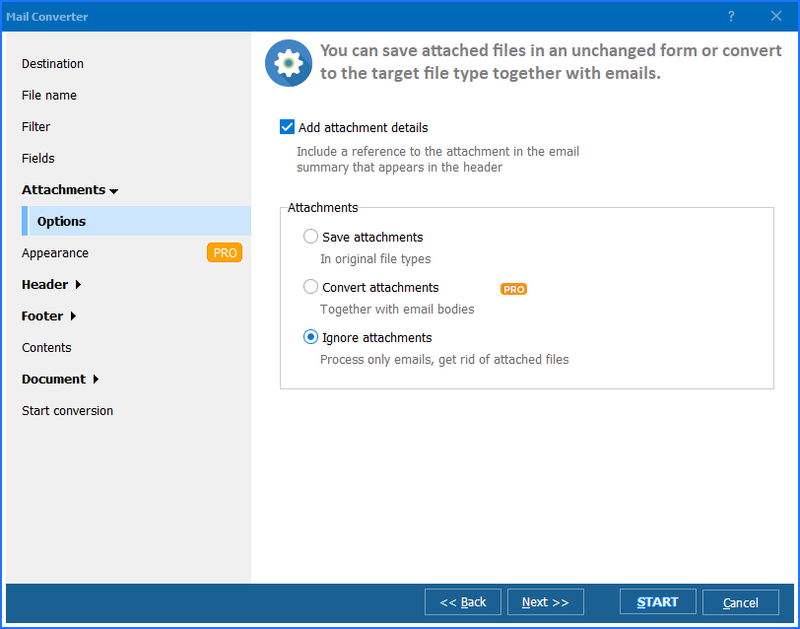 You can adjust default settings by specifying the destination folder, the fields that need to be exported, choosing what to do with attachments, tuning the document appearance, creating header an footer, etc. 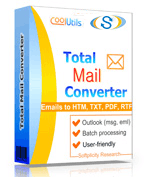 With Total Mail Converter you can convert MSG to XHTML in batch in a matter of seconds! It is free, there's no obligation and it requires no registration! Give it a try today! Convert EML to XHTML in batch easily!